I was curious if anyone had attempted to link the built in FHIR support within Healthshare Healthconnect to an existing data source? For example, having FHIR requests be received into Healthshare, and then call off to an external SQL Database to grab the data required for the response. How to add Chained parameters on search operation to FHIRServer? I'm helping our client to pass a Chinese CHIMA FHIR certification, which requires to search encounter by subject(Patient) name. Is there any way to integrate or access the data from cloud Integration tool called SnapLogic. Does InterSystems support any integration? Or can you suggest any sandbox available for FHIR to download and access the data. We have a PAS that accepts HL7v2 QBP^Q21 requests, and returns patient details in an RSP^K21. So I think I need to convert the query url into a QBP^Q21 (HL7) message, then take the response in HL7v2, convert to SDA, convert to FHIR, and put that in the response to the original GET. Does anyone have any experience doing this? is there an approach you would recomend? I've been trying to interoperate with careevoltion using their backend-services. This involves creating a JWT (JSON Web Token) that I have been unable to do using %OAuth2.JWT:ObjectToJWT. I downloaded jwt.pfx and then ran the following openssl commands to create some pem files. Has anyone implemented the NHS Care Connect profile in HealthShare and if so could you share the steps you took? I was hoping i could just down load the profiles from git hub and import into Studio but it appears I need the XSD to do this, which are not available. I reached out to Gary Monger yesterday and asked him how he configured Apache for his SMART on FHIR demo? Gary's response was for me to post my question on the Developer Community forum - so that other people can benefit from the answer. I'm after turning a local Health Share instance on my laptop into a SMART on FHIR server. The *recording about doing all of this is excellent, however, I could do with some instructions on how you configured the Apache web server before running the Cache scripts. How to add FHIR extension to Patient resource? What is the best practice when adding FHIR extension to Patient resource? To not to lose it when updating Patient base class etc. I had posted a similar question outside this group a while ago "Errors requesting data from local Ensemble FHIR Repository" but haven't had the chance to follow up on it since. It was suggested I re-post inside this group. Cross-Origin Request Blocked: The Same Origin Policy disallows reading the remote resource at http://localhost:57773/csp/healthshare/fhirserver/fhir/Patient. (Reason: CORS header ‘Access-Control-Allow-Origin’ missing). The product I'm using is HealthConnect ( this installation HSAP-2017.1.1.111.0.17521-hscore15.03-b8382-win_x64.exe). Do I have access to the Information Exchange Clinical Viewer ? Is there a way to install this and connect it up to my HealthShare FHIR repository? I've tried a variety of requests and read operations work, but create doesn't seem to. Has anyone run into this? Any ideas? Thanks. 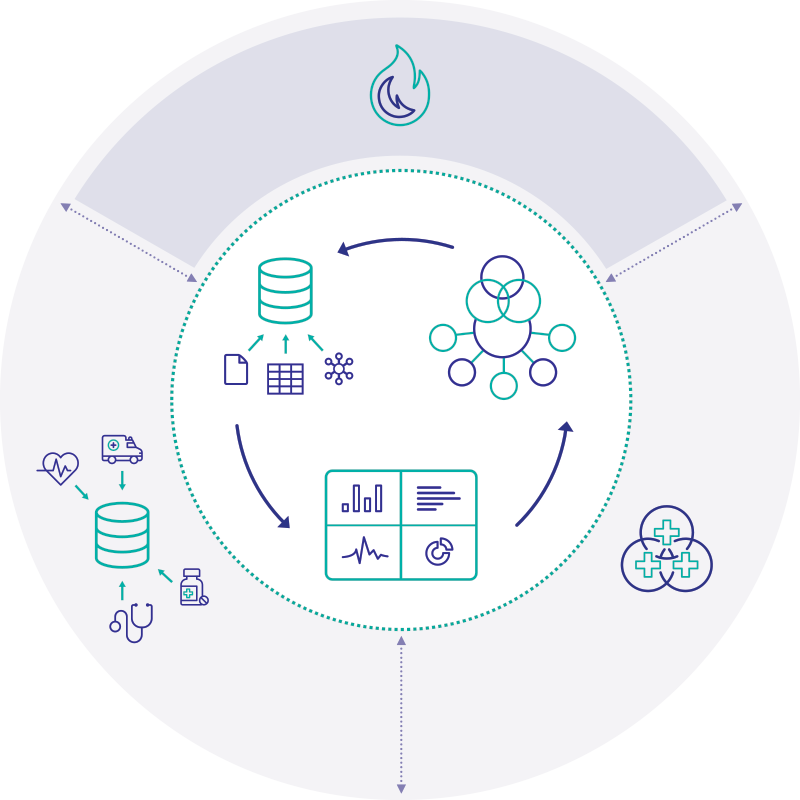 What is FHIR and How to work with FHIR in Cache.How to we write a web services using FHIR. I am exploring on converting HL7 to FHIR. 1. I saw there are built in DTLs “FHIR.FromSDA” and “FHIR.ToSDA” to convert SDA -> FHIR and FHIR -> SDA. Similarly Do Intersystems have DTLs for HL7 -> FHIR and FHIR -> HL7? 3. If there are no built-in DTLs for converting HL7 -> FHIR and FHIR -> HL7, what is the process to achieve this? Is there any simple code in Cache using FHIR to understand the relationship between them? If so can anyone provide some example. Can you connect to FHIR through ensemble or do you have to have HealthShare to connect to FHIR services?